It’s dark, gritty, and at times, uncomfortable. But that’s what Gillian Flynn creates purposefully and brilliantly through her atmospheric characterisation and narration. Of course, I wasn’t introduced to Gillian Flynn until I read Gone Girl, which by the way, I loved. It instantly became one of my favourite books. I wanted more from her. This is when I was attracted to Sharp Objects. Her debut novel. We are introduced to a Camille Preaker, a young journalist trying to make a better life for herself. Her sister Marian died at a young age and Camille has been battling her own demons. Her family is hurting and so is Camille, but she wants to focus on her career. That is until she’s sent back to her hometown to report on the death of a girl in Wind Gap, Missouri, her hometown. Another girl is missing, and this is thought by her boss, Curry, to be a big story told by a local. This is not a detective mystery where we follow the police. Law enforcement doesn’t exist in this story. Camille is investigator, reporter and resident. It’s dark, it’s gritty, it’s disturbing, it’s creepy. This is all achieved, in my opinion, from the characterisation. The story itself is painfully slow. I actually found myself telling my better half repeatedly, ‘nothing has happened’. The last 85% though is where EVERYTHING happens. It came and went as quick as a box of Krispy Kreme donuts! To conclude, I enjoyed the way the story was told but I thought the book was way too slow. You’re safe at a local summer fete. Right? Having a child snatched from you is unthinkable, especially when that child was under your supervision. It not only affects you, but the entire family. 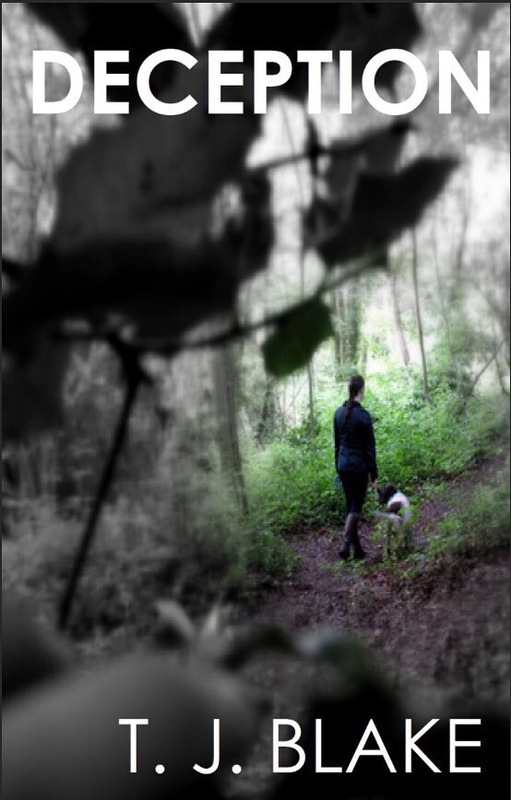 Trauma, guilt, sadness and emptiness rock the Farrows, until there’s a glimmer of hope dangled in front of Beth. This was a good, easy read. It kept me guessing and I enjoyed the mind games Butler played! ‘Deception’ receives a 4.5 star review! 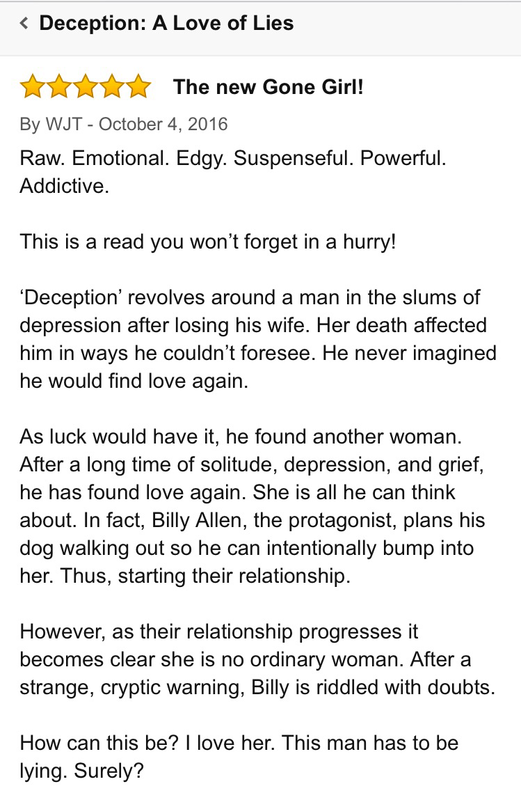 I was very pleased to see that Deception has received another glowing review, a very decent 4.5 star and ‘highly recommended’ rated review. 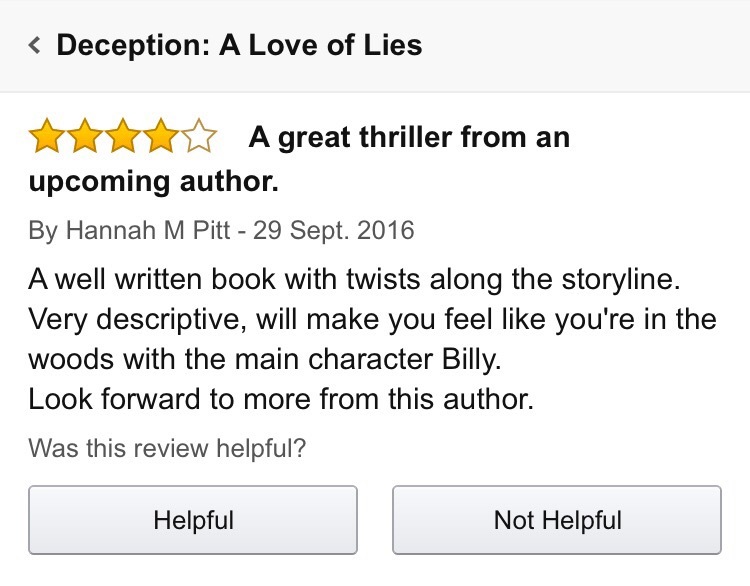 I personally really like this review because the reader has clearly understood the book, but most importantly, have understood the characters. 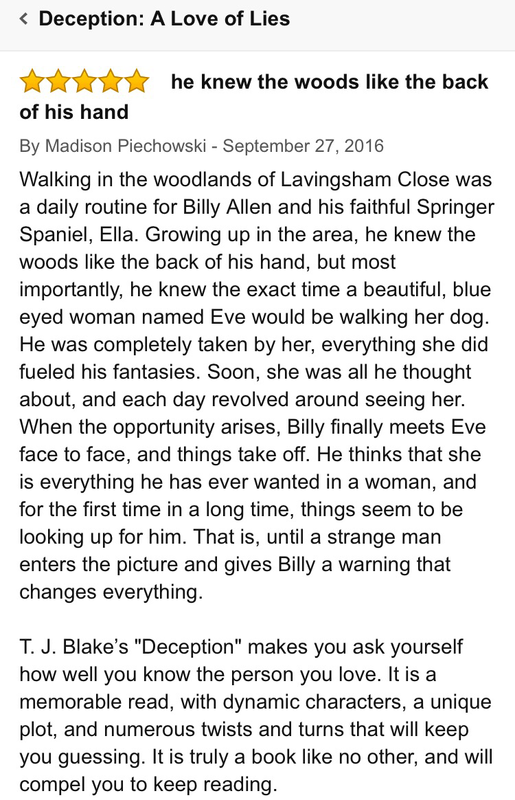 They have enjoyed experiencing Billy and Eve’s relationship, and I’m so happy that they said enough in the review, but not too much about the story. 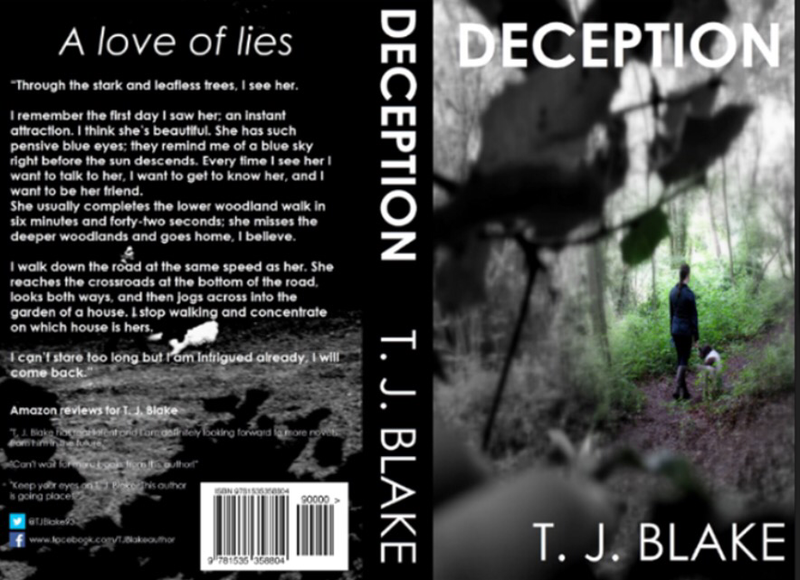 Read the rest of Deception‘s review now on Book Junkie Reviews.